This is the 3rd year of my “One Word” Tradition. In 2016 I wrote about Hungry and in 2017 my first post of the year was dedicated to Hope. I feel both words were ones that were good ones for the times they were written. In looking at 2017, it was a year of hope with shifts in education and a new provincial government. When it came to the world of teaching and learning, it was hope realized. This year my word is Relevance. It is interesting to see the social media posts as others post words for the year. I see words like love, gratitude, empathy and others. And when I test them out for me – they do not work. My digital colleague, Dean Shareski suggested my word should be “Lucky” and he actually had a good point. But, I landed on relevance. I am desperate to be relevant. It is part of why I blog. Blogging forces me to make my thinking public. It is easy to shy-away from the big conversations, but I want to be in the middle of them. I want to continue to think about education in ways that helps shape the narrative about our future. I do not fear disagreement, but I do worry that I get to a point where my thoughts and ideas are just ignored. That would be way worse. I want to be part of the dialogue. And relevance is largely up to me in this regard. I need to continue to read, question, explore and get out and see what others are doing. I work in a very high performing school district, which has a great reputation for innovation. But we always need to be looking beyond where we are. Our job is to be looking around the corner, to help people see what is next. It is not just my own need to stay relevant to the educational world, and ensure our district stays relevant. 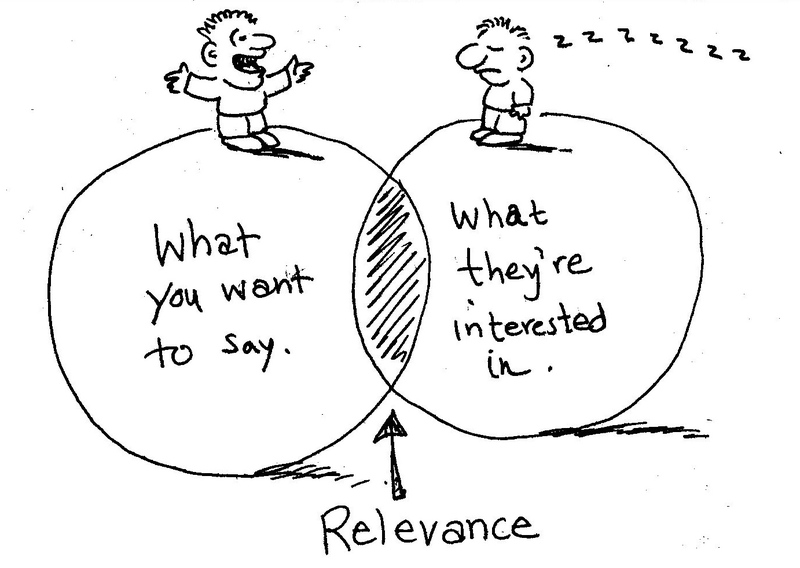 Relevance speaks to what we need to have happening every day with students in our schools. From the “what” we teach to the “how” we teach it, we need to ensure we do it in ways to meet the needs of the modern student. Just before Christmas our Board approved new programs that will create specialty programs for high school students in areas including: table tennis, environmental sciences, engineering, computer animation and volleyball. These add to the choice program opportunities that include options from robotics, to rugby to honour choir classes at night and basketball academy classes on the weekend. Everything we hear about public education being the key to a democratic society is very true. And it is true that public education is about the ongoing growth of our communities. And it will stay that way if our system continues to be relevant for our students in this changing world. So, as someone finishing their 11th year in this district, and 8th year as Superintendent, I know relevance could be a blind spot for me. It is easy to do this year just like last year. I know that in the long run, that will not work. So here is to a 2018 of doing things everyday that add to the conversation, push the work forward and keep me, my thinking, our district, our students’ experiences and public education relevant. Thanks, Chris. Don’t we all want to be relevant? I love the courage of your post. How have others reacted? Thanks for the kind words. I think you are right. We all want to be relevant in whatever roles we have. That is been the consistent response I have received so far as well. In a world where public education is at times viewed as so far behind where students learning should be – I am thrilled we have a district leader that understands the relevance of change and adapting to the changing needs and time for our kids. Thank you. Thank you for the kind words. I really appreciate our wonderful work we do together.